Sasha Banks isn't turning up to work after all! It seems Sasha Banks has indeed stayed away from WWE Monday Night RAW as she remains embroiled in an ongoing story surrounding her allegedly asking for her release from the company, PWInsider reports. It is believed that Banks asked for her release after growing frustrated with her creative direction in WWE, spurred on by 'The Boss 'N' Hug Connections' WWE Women's Tag-Team Title loss at WrestleMania 35. Banks did not feature on the Raw after WrestleMania and it was subsequently reported that she was refusing to turn up to WWE live events, which would include the Superstar Shakeup edition of Monday Night RAW, in Montreal. Interestingly, despite the cloud of doubt hanging over Banks and her future within the WWE, she was featured in an article on the WWE website indicating that 'The Boss' could move to SmackDown Live. However, in an article addressing the travel chaos affecting the April 16th, 2019 episode of Monday Night RAW, Mike Johnson from PWInsider reported that there was no sign of Sasha Banks backstage. Banks did break her silence on the whole affair for the first time with a, now deleted, Twitter post earlier today. In the post Banks repeated the 'If You Only Knew' hashtag and called everyone marks. If Banks is truly not backstage at RAW and hasn't made the trip to Montreal it would seem to corroborate a lot of the story that is being reported and would indicated that she does indeed intend to leave WWE. 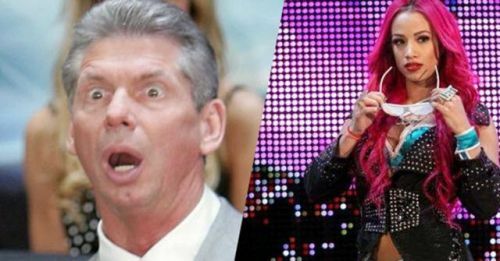 Will 'The Boss' leave WWE? Leave your thoughts in the comments section below!